WyWallet offers 97% of Swedish mobile phone users the ability to make funds transfers, online and SMS payments today and will include support for NFC payments from 2013. 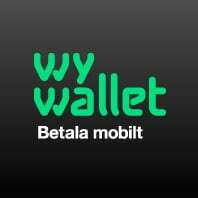 Swedish mobile operators Telia, Tele2, Telenor and Three have launched WyWallet, a mobile payments service that will provide mobile wallet services to 97% of Swedish mobile phone users and includes support for NFC. WyWallet is provided by 4T, a joint venture company set up by the four carriers and uses mobile technology and security based on Accumulate’s Mobile Everywhere mobile financial services platform. WyWallet also includes support for NFC payments at the point of sale. This part of the service is to be pilot tested in the town of Visby from July 2012 ahead of a planned commercial launch in 2013.